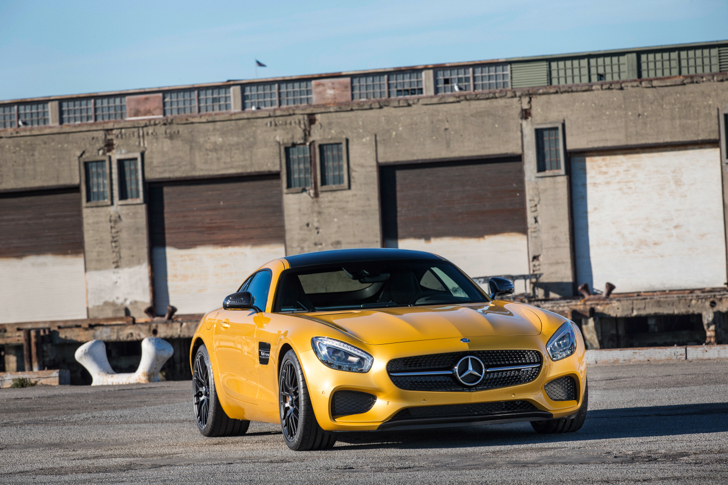 Does the new Mercedes-AMG GT really have what it takes to beat Porsche’s 911? And can it (somehow) improve on the SLS it replaces? crankandpiston.com finds out on the international launch in California, USA. Anytime the new Mercedes AMG GT comes up in conversation people immediately refer to it as the new SLS, but in reality the second car built entirely from the ground up at Affalterbach occupies a different space to its more flamboyant and now defunct predecessor. While the gullwinged SLS was often mentioned in the same breath as Ferrari, Aston Martin and Bentley, the AMG GT is less supercar and more sports car meaning inevitable comparisons to the iconic Porsche 911, not to mention the excellent Jaguar F-TYPE and Audi R8. It is a segment very rich in talent and the Mercedes definitely has its work cut out if it’s going to make a mark. I’ve made the body-clock destroying trip to California to find out if the AMG GT lives up to all the pre-launch hype. Despite my bleary eyed condition the GT is off to a good start in the visual department, while there are hints of SLS, its delicate surfaces mean it’s far sleeker. The long and wide bonnet is typical AMG, while the swept-back LED headlights and ornate mesh grille give the Merc a purposeful demeanour. Spend time looking at it and you’ll appreciate the beautiful detailing in its lines. The arched roof meanwhile flows smoothly into the broad but athletic tail, which is oddly reminiscent of a 911. While it doesn’t quite have the theatrics and presence of the SLS, there is no doubt the GT is a pretty car. Underneath the bonnet is where things get really interesting. 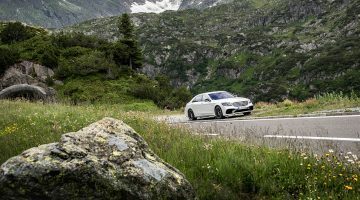 The GT debuts AMG’s new M178 twin-turbocharged 3982cc V8. The engine, which features dry-sump lubrication and a relatively high static compression ratio of 10.2:1, mounts its turbos inside the vee (a trick learnt from the F1 team apparently) right under the bonnet, so the intake side of the cylinder heads is outboard. This makes the whole engine visibly more compact allowing for it to be positioned as far back as possible. Don’t be fooled by the front heavy proportions of the GT, the layout is very much front mid-engined . The new motor makes 462bhp at 6000rpm in the base GT model, while the same engine in our GT S tester produces 510bhp at 6250rpm. Like the SLS, power is fired down the torque tube to a rear-mounted, seven-speed dual-clutch transmission. The GT gets mechanical LSD, while the S uses an electronic locking diff similar to that employed by the astonishing SLS Black Series. Beneath its stylish skin the GT is based on the aluminium chassis of the SLS but with new front and rear structures, and is 50mm shorter than the SLS with the reduction taken from the firewall to the front axle. As a result weight comes in at an encouraging 1570kg, which combined with a 47:53 front to rear weigh distribution should bode well for the handling. Further help can be had from the optional AMG Dynamic Plus package. This adds dynamic engine and transaxle mounts to improve both refinement and comfort in normal driving, and handling precision when the driver gets a bit more excited. Swing the conventional doors open and inside you’ll find an impressive all-new interior. Tucked into the low-slung driver’s seat, you’re cocooned between the sculpted door panels and the gigantic transmission tunnel. In a nod to the V8 engine, the centre console has eight buttons laid out in an expanding V formation while the sweeping dash features a quartet of circular air vents and an excellent tablet style screen. Controlled by the latest COMAND system with touch pad and roller dial, the mapping is super clear and the audio; telephone and settings functionality is intuitive and easy to operate. As you’d expect in a car at this price point, the cabin materials and switchgear are top notch, a lovely Alcantera trimmed flat-bottomed wheel finishes off the stunning cabin. One of the aforementioned eight buttons fires up the engine, and any doubts about the new engine being a let-down in the aural department are quickly eradicated. The V8 erupts into life with typical AMG bravado, although it quickly settles down to a more composed rich bassy warble. Click the oddly-shaped gear lever into drive and the first impression as I hit the streets of San Francisco is how stiff the GT is, but while the ride is certainly firm (even in the softest damper setting) there’s enough pliancy and cushioning to prevent it from being crashy and uncomfortable. The engine is muted at low speeds with the sports exhaust switched to its quieter mode and the dual-clutch gearbox shifts cleanly and smoothly for the most part, which gives the impression that the AMG GT would make for a very useable everyday car. Get aggressive with the loud pedal and after an ever so slight moment of hesitation the twin-turbo engine delivers a muscular- if not overwhelming- thump even from the lower reaches of the rev range. The sprint from 0-100kph is completed in a rather rapid 3.8 seconds, and the GT will keep pulling to an electronically limited 310kph top speed. While it doesn’t give the same riveting crescendo as the SLS’s normally-aspirated 6.2-litre V8 right at the top end, the trick sports exhaust does a great job of replicating that car’s seductively dirty V8 rumble. Over a particularly demanding stretch of sinewy road near the coastal town of Carmel the AMG GT truly shines. It feels tied into the road surface and it has enormous levels of body control. That helps it stay flat in direction changes and composed over undulations, which invites the driver to keep pushing harder and harder. The long bonnet – with the front wheels mounted way out ahead – takes a bit of time to get used to, but with the engine located more or less beneath the dashboard there’s never any sense of resistance from the front end on turn in. Instead, the car feels agile and supremely well balanced on both road and track, in this case the legendary Laguna Seca. As has come to be expected of AMG the steering is the only real dynamic weakness. In fact, it’s hugely precise with a linear, natural rate of response, but it doesn’t drip with feel, which means the driver must learn to trust the vast reserves of grip at the front axle. 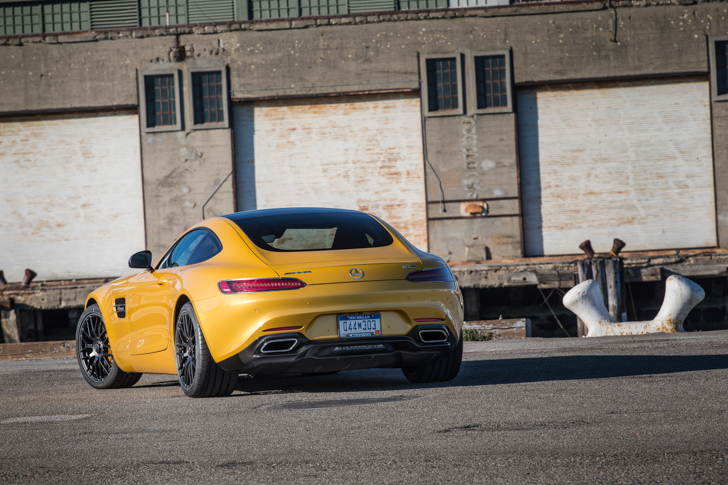 The rear axle, meanwhile, finds plenty of grip itself, which makes the AMG GT feel stable and secure when pressing on. Traction is very impressive indeed for a car with so much torque on offer, even in damp conditions. Switch off the traction control entirely and the GT will oversteer, but it puts a smile on your face rather than sweat on your palms, which is more than can be said for AMG’s of yore. It’s been a long time coming but AMG finally has a sports car to rival the very best in the business. The GT’s good looks, excellent interior and powerful V8 engine are all highlights. However, it’s the handling that sets it apart. A truly athletic car with a dynamism not seen before in a Mercedes sports car, the new AMG GT is a great looking, beautifully engineered and accomplished rival that’s ready to take on the sports car establishment, Porsche 911 included. Bring on the group test. Next Article Chevrolet Chaparral 2X Vision Gran Turismo. Ultimate Race Car?